Liz has walked right into the middle of a war. The direction she chooses will dictate how the next era will go. I am having trouble reviewing the book. I do not want to give anything away. Jennifer has crafted a story that effortlessly weaves romance, war, evil, good, life and death. 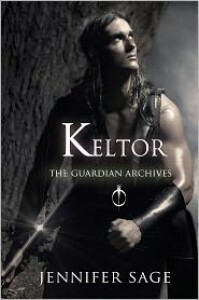 I highly recommend you read Keltor. The ground work has been laid for an epic series. I can see so many potential story lines Jennifer could use. To say I am excited to see where this goes is an understatement.